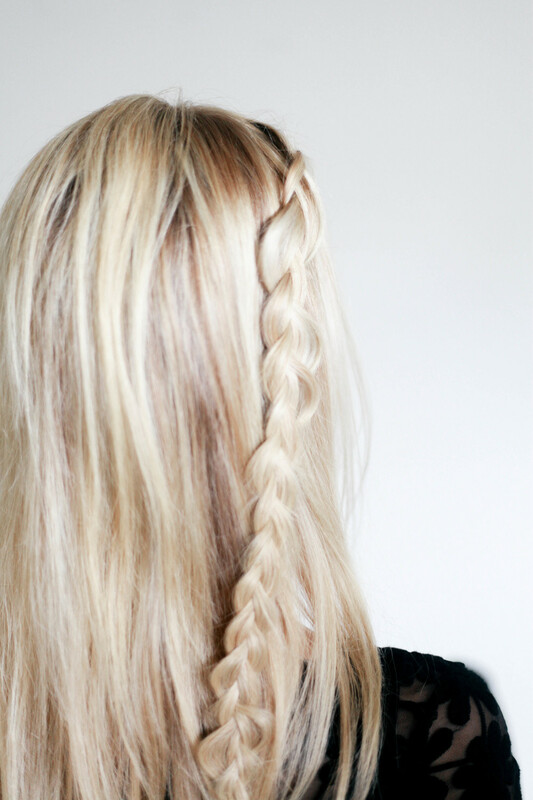 We absolutely adore this hair tutorial we schemed up with Kassinka! We are in love with incorporating copper / rose gold / anything shiny into your locks! You can get these tiny pipes (in lots of sizes to suit different hair types) at Home Depot for a whopping $0.64. Now, for a hair style, that's my kinda budget. ;) Click here to buy the pipes! Add a braid coming from the front of your head and pull it back into your pony for a fun added touch. Kassandra used clear elastics to pull her hair back, and suggested we buy some! 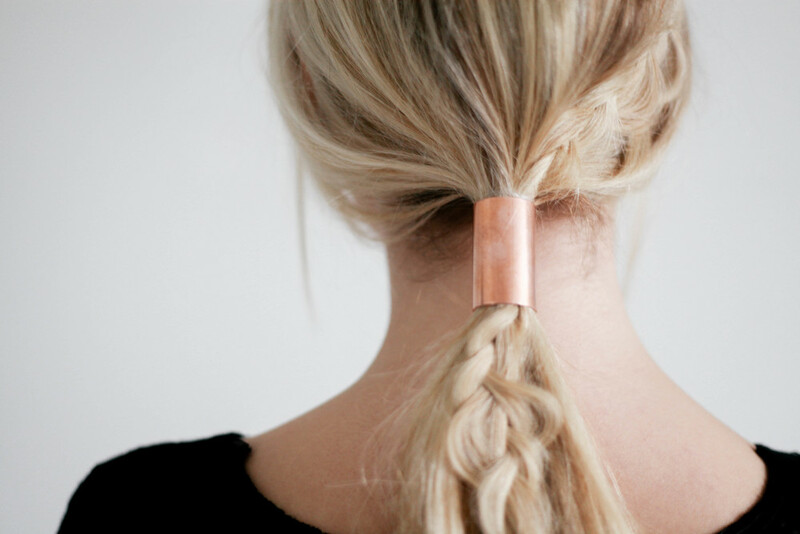 She uses them all the time, and make doing your hair way easier, cause the elastic is practically invisible! Once you pull back the pony, and secure it, all you have to do is slide that pipe on! 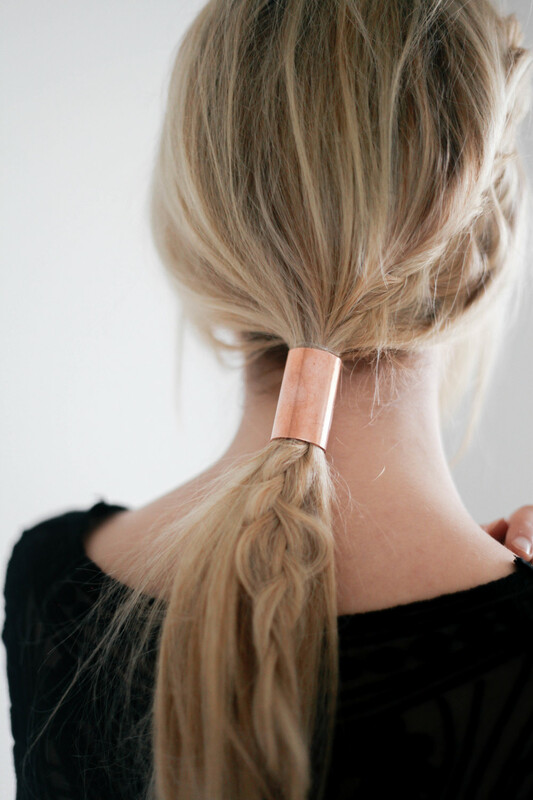 You might need to twist it a bit while you slide it up the pony to get all the hair in there. Tada! Super easy way to make your pony look unique and classy. To secure the pipe even more, feel free to backcomb your pony a bit underneath it!